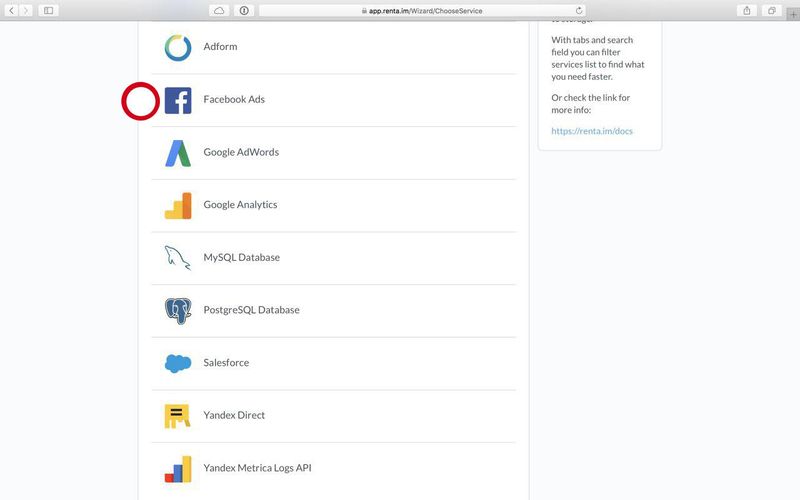 As an example, let us consider the integration of Facebook Ads with Google BigQuery. First, select the integration type. In this case this is Facebook Ads. Click on the Add button. Then sign in using the account from where you need to download the data. You will see the Facebook authorization window. Type in login and password from the necessary account. After that, you will be able to select the account. At the third stage of integration you select the advertising account, specify the data for download and the frequency of data update. In Ad account specify the advertising account from where you will download the data. In Parameters select the necessary parameters for the download to a table. Among the available options are date, clicks, spend, etc. In Date Range Type specify the time period for the Facebook Ads data you need to download. For instance, the advertising campaigns statistics is available for the whole month. But you only need data for the last 14 days. In that case select «Last 14 days». If you want the data for the last day to be collected automatically, click on the Custom button. Specify the period in the pop-up window: “To” for the period start and “From” with the “Yesterday” value. 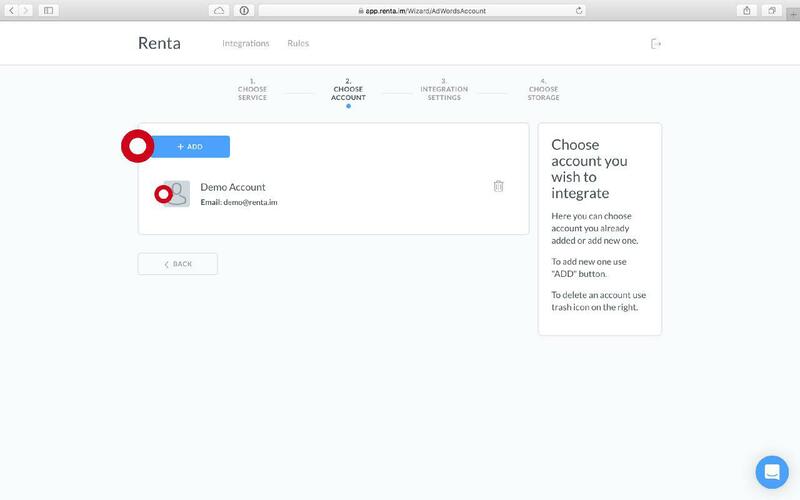 Thus, Renta will automatically download data from Facebook Ads for the last day. In Update time specify the data update time. For instance, every day at 6:00 AM. 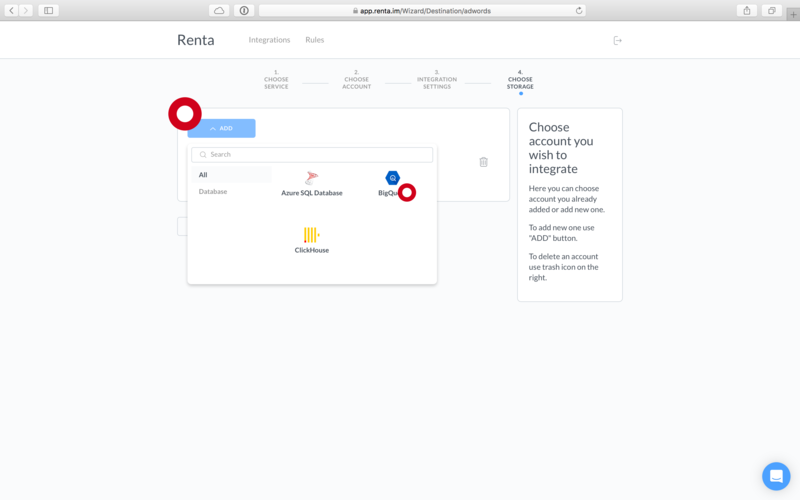 At that time Renta will launch the integration and obtain new data from Facebook Ads. Open the Add button and select the database type from the list of available ones. In this case this is BigQuery. After you have selected the database, you will see a window with the Google BigQuery projects. In Google BigQuery the dataset called Renta_dataset will be created. All necessary data will be downloaded as a table. 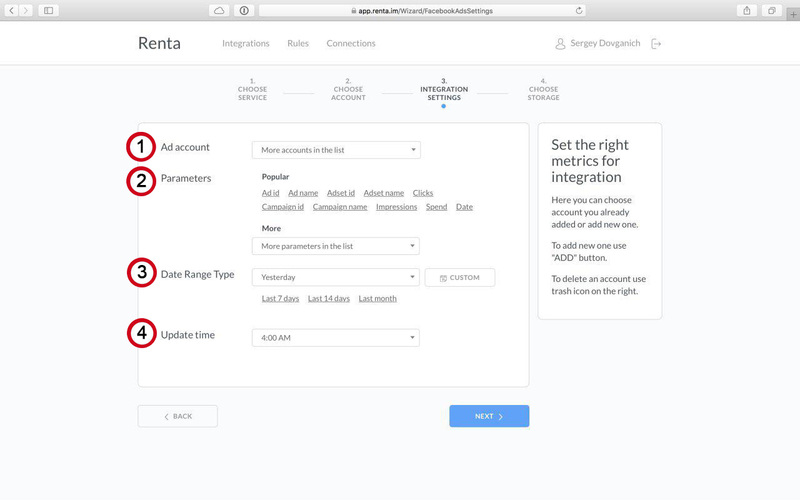 Renta is used to automatically gather statistics from advertising systems.